The second set of playoff series are ready to start this evening. The HabsWorld experts prepared their prognostications for day 2 of hockey’s epic quest for the holiest of grails. (Norm) Do the Leafs stand a chance against the Bruins this time, after losing to them twice in their previous two playoff matches? Toronto has improved their offence this season by adding John Tavares, who had his best pro season in goals scored (47) and points (88). Linemate Mitch Marner benefited from Tavares’ arrival this season, by leading the team in scoring with 94 points. Auston Matthews missed 14 games to injuries by still managed 73 points in his 68 games played. Morgan Rielly had an excellent season scoring 20 goals and 72 points. Goaltender Frederik Andersen was very good but faced a lot of shots against due to their offensive style. During the regular season, Boston won 3 out of their 4 games. In Boston, the team’s top line of Patrice Bergeron, Brad Marchand and David Pastrnak was not as dominant as the previous season, partially due to significant time lost by Pastrnak and Bergeron to injuries. However, Marchand scored 100 points to lead his team for the first time in his career. David Krejci was an excellent 2nd line centre and young forward Jake DeBrusk scored 27 goals and 42 points to provide depth. Defenceman Torey Krug led the blueline in scoring with 53 points and Charlie McAvoy was next with 28, despite missing 28 games to different injuries. Starting goalie Tuukka Rask was very good, while his backup ex-Hab Jaroslav Halak was even better, in goals against and save percentage categories. Will the third time be a charm for Toronto? I predict the Leafs will continue to be frustrated by Boston’s dominance. (Kevin) As Toronto limps into the postseason, they find before them a young and hungry Boston team looking to prove that their regular season was no fluke. The Leafs hold more top-end talent, but the Bruins hold a decided edge in depth and defence. Can the Leafs actually stop a team from scoring? More accurately, can Andersen get a bit of help to make it happen? If Toronto wants a chance in this series, Andersen will have to steal a few games and Rask will have to fall flat on his face. It’s not the most impossible scenario, but it’s also not very likely considering the end of the regular season for both squads. At least, it’s definitely not likely enough for me to place my bet on the Leafs. (Brian) For me, the series comes down to defence. In particular, Toronto’s lack of it. We saw down the stretch that they’re vulnerable in their own end even with the addition of Jake Muzzin and Frederik Andersen struggled as a result. Toronto can score but they may need to score four or five to have a chance to win. That’s going to be tough against a well-rested Tuukka Rask. Another way the Leafs could win is if they can shut down Boston’s top line of Brad Marchand, Patrice Bergeron, and David Pastrnak. No one has really been able to do so and that unit should be able to take advantage of Toronto’s defensive deficiencies. The addition of John Tavares and this being the final year of the entry-level deals for Auston Matthews and Mitch Marner was supposed to make this their season to contend but instead, it could very well end the way the last one did. (Jonathan) The Bruins have been messing with the Hockey Gods this year and virtually everyone is picking the Bruins to repeat history, but I “beleaf” the trend will be bucked. Tavares will come up huge several times and Rask and Halak won’t be able to stop him. (Craig) Another year, another showdown between the Leafs and Bruins and it should be a good one with two of the NHL’s best clubs going head to head. The Leafs haven’t looked all that good as of late, but getting Gardiner and Dermott back can only help a rather suspect defensive unit. Meanwhile, the Bruins feature one of the league’s best lines in Pastrnak, Marchand and Bergeron. In the end, the Bruins are just too good and too deep. (Norm) This young Canes squad seems to know how to have fun as evident by their postgame win celebrations. Do they know how to win? Their first big test is against the defending Stanley Cup champions. 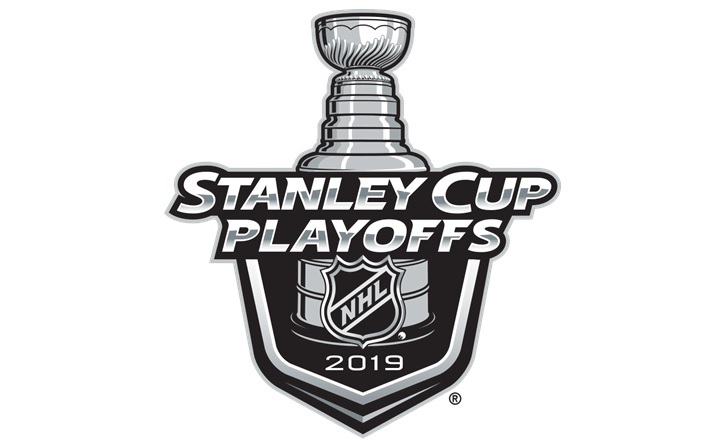 When considering only their games played in 2019, Carolina sported a 30-12-2 record, which was the fourth-best winning percentage in the league during that span. Lead by 21-year-old centre Sebastian Aho, the young Finn had career stats in goals, assists, and points. Fellow countryman Teuvo Teravainen also had his best NHL season in points and assists. Veteran Justin Williams should provide clutch scoring in the playoffs, as he is best known for. In goal, the tandem of Petr Mrazek and Curtis McElhinney have provided solid play. Washington’s captain Alex Ovechkin lead the league again in scoring, with yet another 50+ goals. Centre Evgeny Kuznetzov lead the team with 32 points during last season’s playoff run, so he’s expected to provide similar productivity. Nicklas Backstrom is the team’s best two way forward and no slouch at scoring either. Defenceman John Carlson had another outstanding season, and veteran goalie Braden Holtby finished the regular season red hot with 5 straight wins. Carolina should make this an entertaining series, but it’s hard to foresee the Capitals losing this due to their home ice advantage. (Kevin) The defending Stanley Cup champion Capitals will be looking to impose their size and experience on this year’s Vegas Golden Knights. The surprising Hurricanes have nothing to lose and that can sometimes be a dangerous thing to face in the first round. The Capitals have a better-rounded squad, but face a team filled with talented players that have yet to share their full potential with the hockey world. So many questions around the Hurricanes: Can Mrazek step up in playoff hockey? Will the kids step up their play for the occasion? How many dirty hits will the Canes take from Tom Wilson before starting to lose their cool? Can the speed of the Hurricanes overcome a solid defensive team in the Capitals? Too many questions to bet on the Hurricanes. (Brian) If Carolina could have got into the 2/3 matchup, I think they had a good chance to win it. However, as well as they’ve played in the second half, I simply have a hard time picking against Washington. With last year’s Cup run under their belts, they know what it takes to move on and I think they’ll elevate their game. We saw how the Capitals shut down Montreal last week in a playoff-type game. The Hurricanes play a similar style as Montreal so I imagine that Washington will be able to eventually do the same to Carolina. (Jonathan) Ovechkin isn’t finished with 1 cup; he WANTS MORE. He will be more hungry then ever and don’t be surprised if he scores 6 or 7 goals in the series. (Craig) The bunch of jerks are a tough opening round matchup for the defending champs. Washington has brought back the majority of the team that won it all last season, though the loss of Michal Kempny is bigger than it may appear. Meanwhile, Carolina has been one of the best possession teams all season and have recently begun to translate that into results. The Canes’ relentless style is just too much for the Capitals and there’s an upset in the making. (Norm) The Flames exceeded everyone’s expectations by finishing first in the Western Conference this season. Forward Johnny “Hockey” Gaudreau scored 99 points to lead his team. Two way forwards Sean Monahan, Elias Lindholm, and Matthew Tkachuk round out their top scoreres. New head coach Bill Peters deserves a lot of the credit for turning this squad around. The defence is led by Mark Giordano who should get some Norris trophy consideration. Backing him up are veterans T.J. Brodie and Noah Hanifin to make up one of the better blueline trios in the league. Colorado has one of the most exciting top lines with Nathan MacKinnon, Mikko Rantanen, and Gabriel Landeskog. This is also one of the best trios at 5-on-5 in the league. On the blueline, Tyson Barrie, Samuel Girard and Erik Johnson provide decent defence. Semyon Varlamov has had an inconsistent season. For this series I believe the Flames have much more depth on defence, and at forward. Their goaltending tandem has been inconsistent, but less so than Colorado’s, which gives them an edge. (Kevin) The Avalanche will look to outscore the Flames but will face a formidable blueline that has found its way this season. The Flames are smaller than the Avalanche up front but face a weaker blueline. This series should be a lock for the Flames, but Mike Smith is a hard goaltender to be confident in. At least for this series, David Rittich can shore up that situation should Smith falter, though that would definitely hurt the Flames down the stretch if they want a deep run. Top-end skill isn’t separated by much for a 1-8 matchup, but the Flames hold the advantage in depth, physicality and blueline. Colorado’s goaltending would need to steal most of the series here, though it’s not impossible considering lack of past playoff success for young Flames. I’m just not willing to put my prediction on it. (Brian) I’m not sold on Calgary’s goaltending being able to carry them through the postseason. However, it’s good enough that they should be able to get by Colorado. Both teams have elite top lines but the Flames have the better overall depth up front as well as a back end that’s much better what the Avs have. That will be enough to make the difference even if Colorado gets the better goaltending performance. (Jonathan) Calgary vs Colorado or as I prefer to call it Atlanta vs Quebec. Colorado is a one-line team, Giordano and Brodie will be able to contain them enough, and James Neal will excel in the playoffs. (Craig) This series has the potential to be a doozy with the Avalanche on an absolute tear to end the regular season and join the dance. While Calgary has been great all year, I still lack confidence in their goaltending. The Avs are getting a big boost with Mikko Rantanen scheduled to return and I smell an upset despite a great series from Matt Tkachuk.